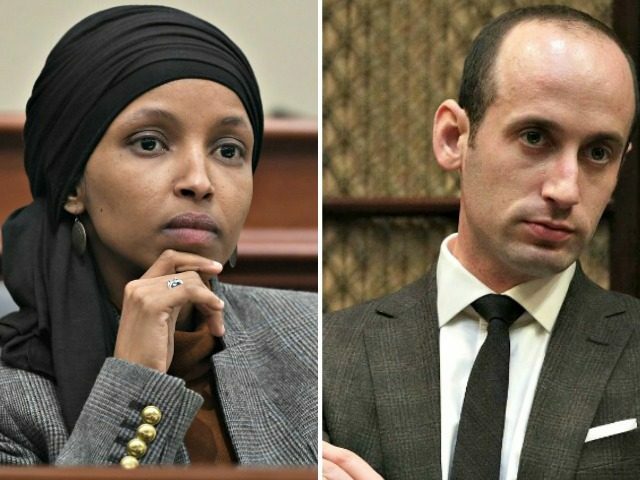 Rep. Ilhan Omar (D-MN) claimed Monday evening that Jewish White House senior adviser Stephen Miller is a white nationalist. “Stephen Miller is a white nationalist. The fact that he still has influence on policy and political appointments is an outrage,” Omar said in the tweet. Omar’s tweet linked to a story from Splinter News, which noted a CNN report that Miller requested President Trump to withdraw his nomination of Ron Vitiello to head Immigration and Customs Enforcement.